IBM Call for Code Hackathon - April 26-27  Cash Prizes!! Get some exercise, take home a free t-shirt, enjoy complimentary breakfast, win some incredible prizes, and contribute to a great cause! This 5K run-walk race will take place on UC Berkeley campus and all proceeds will go to a bone marrow donor registration and matching program: the Asian American Donor Program. Attendance restrictions: Open to public, suitable for all ages! Are you curious about . . .
How humanitarian aid organizations negotiate the logistical and ethical challenges of delivering aid in Syria? How Uber and Lyft drivers negotiate the ambiguity of their employment status? How school tax credits are really being used? Registration info: Register online by April 12. CKS has invited professors from Korea and various universities around the world currently engaged in teaching Korean Literature. The current status of Korean literary education and research in each region of the world, to be reported through this conference, will help those in the field seek new directions for Korean literatures development on the global stage. The Cognitive Science Student Association is pleased to host the eleventh annual California Cognitive Science Conference (CCSC) held in April at UC Berkeley. The theme for CCSC 2019 is Constructing Happiness. We will be exploring this exciting topic through the lenses of psychology, neuroscience, linguistics, anthropology, computer science, philosophy and more. RSVP info: RSVP online or by calling Kassie Darling at 510-642-4902, or by emailing Kassie Darling at kdarling@berkeley.edu by April 18. 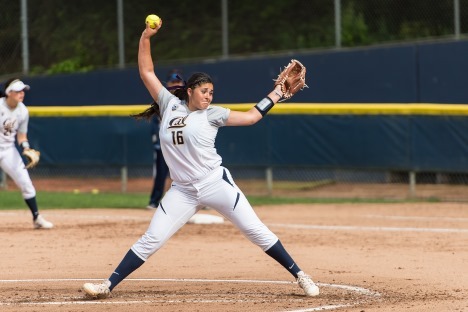 Cal Softball hosts Arizona at Levine-Fricke Field. Panelist/Discussant: Amy Goodman, Democracy Now! Democracy Now! 's documentary, Four Days in Occupied Western Sahara, Africa's Last Colony, will be followed by a discussion with Democracy Now! 's Amy Goodman, the films director John Hamilton of Democracy Now!, Maria Carrion of NomadsHRC and Watching Western Sahara, Prof. Stephen Zunes from USF, and Nickie Lewis from Berkeley's Human Rights Investigations Lab, and other invited guests. Théâtre National de Bretagne performs Julius Caesar Friday–Sunday, April 26–28, 2019 in Zellerbach Hall.